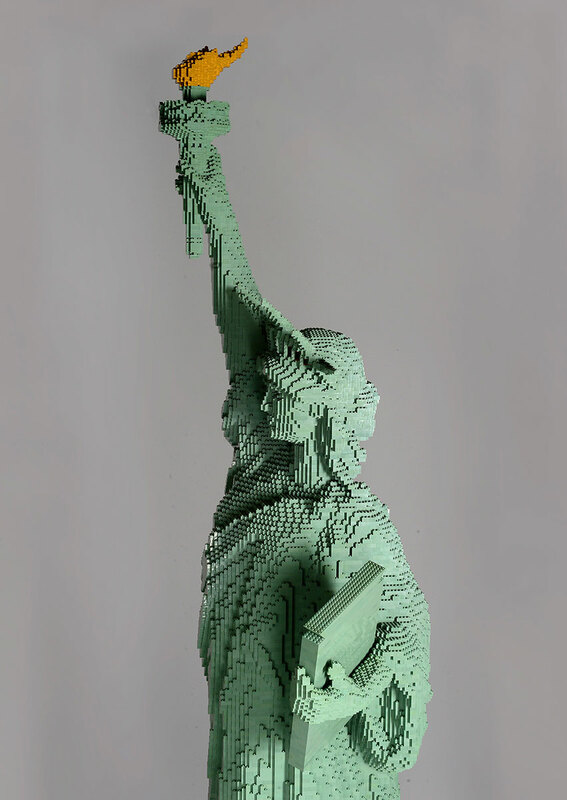 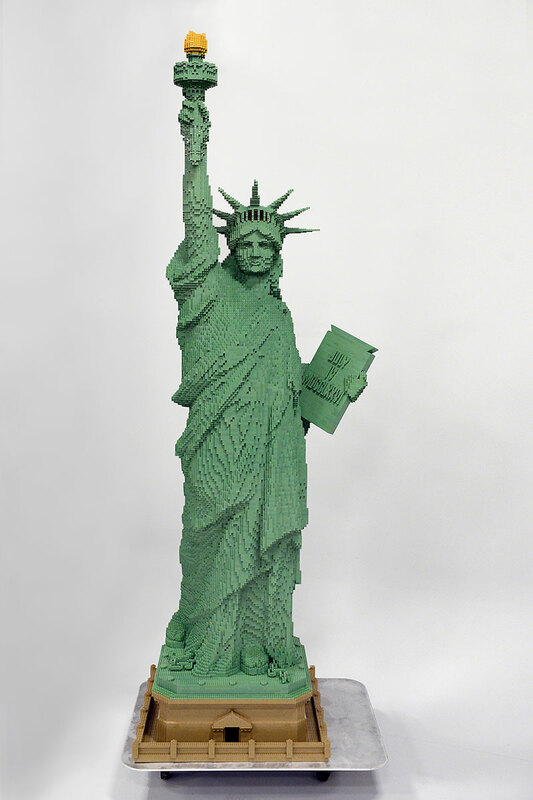 This preview case introduces the public to the Museum’s 2017 theme: “The Nation We Build Together.” The predominant feature is a nine-foot-tall LEGO Statue of Liberty displayed on a platform alongside images of objects that represent new exhibitions opening June 28. 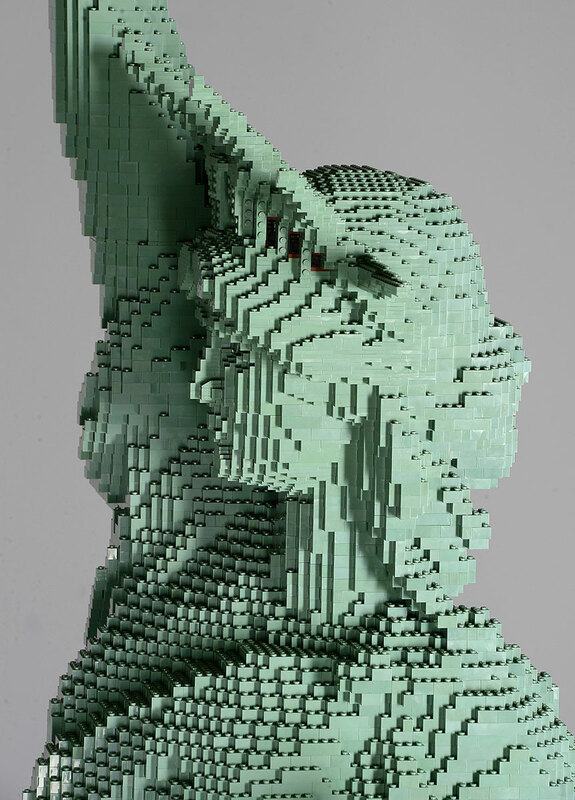 The statue is made of sand green LEGO bricks and weighs 125 pounds without its steel support. 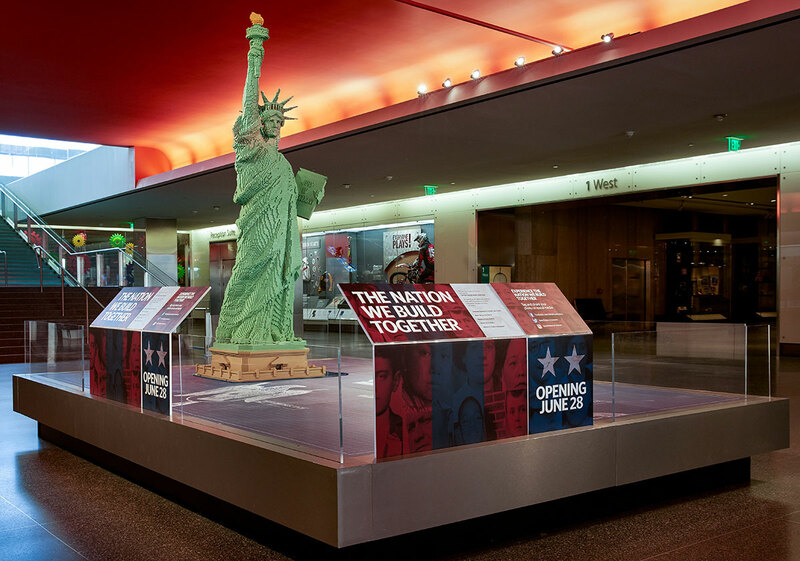 A program space, Unity Square, where visitors will find hands-on activities and a spotlight on one of the Museum’s national treasures, the Greensboro Lunch Counter.